(ANTIMEDIA) French television station Canal+ recently sat down with Dr. Patrick Moore for an upcoming documentary. 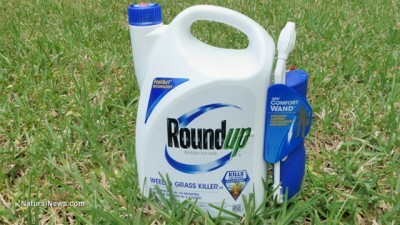 Dr Moore, who claims to be an ecological expert and is currently the frontman for Ecosense Environmental, stated to the interviewer that Monsanto’s weed killer Roundup was not responsible for skyrocketing cancer rates in Argentina. This is where the interview took a turn for the surreal. Dr. Moore insisted that Roundup is safe to drink, at which point the interviewer did the only logical thing one could do in that situation. He offered the doctor a glass of the weed killer to allow him an opportunity to back up his statement. The following is the text from that exchange. Canal+: “So, it’s dangerous, right? Moore then abruptly ends the interview by calling the host a “complete jerk” and storms off. Greenpeace, an organization to which the doctor turned lobbyist belonged in the 1970’s, issued this statement in part in 2008 regarding Dr. Patrick Moore. Patrick Moore often misrepresents himself in the media as an environmental “expert” or even an “environmentalist,” while offering anti-environmental opinions on a wide range of issues and taking a distinctly anti-environmental stance. He also exploits long-gone ties with Greenpeace to sell himself as a speaker and pro-corporate spokesperson, usually taking positions that Greenpeace opposes. While it is true that Patrick Moore was a member of Greenpeace in the 1970s, in 1986 he abruptly turned his back on the very issues he once passionately defended. He claims he “saw the light” but what Moore really saw was an opportunity for financial gain. Since then he has gone from defender of the planet to a paid representative of corporate polluters. Patrick Moore promotes such anti-environmental positions as clearcut logging, nuclear power, farmed salmon, PVC (vinyl) production, genetically engineered crops, and mining. Clients for his consulting services are a veritable Who’s Who of companies that Greenpeace has exposed for environmental misdeeds, including Monsanto, Weyerhaeuser, and BHP Minerals. This article (Lobbyist Claims Monsanto’s Roundup Is Safe To Drink, Freaks Out When Offered A Glass) is free and open source. You have permission to republish this article under a Creative Commons license with attribution to the author and TheAntiMedia.org. Tune in to the Anti-Media radio show Monday through Friday @ 11pm Eastern/8pm Pacific. Help us fix our typos: [email protected].org.